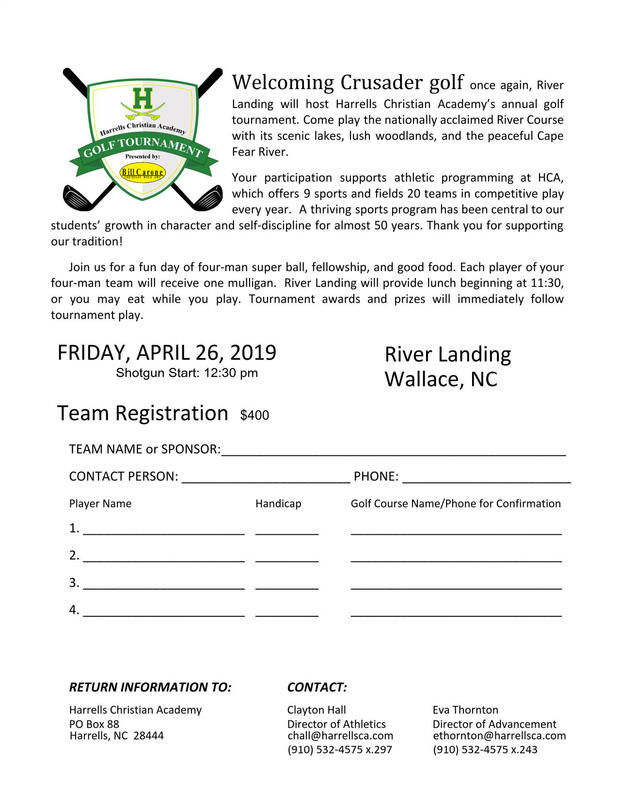 Proud home to Crusader golf for the last 20 years, River Landing will once again host the Harrells Christian Academy’s annual golf tournament. Come play the nationally acclaimed River Course with its scenic lakes, lush woodlands, and the peaceful Cape Fear River. every year. A thriving sports program has been central to our students’ growth in character and self-discipline for almost 50 years. Thank you for supporting our tradition! Join us for a fun day of four-man super ball, fellowship, and good food. 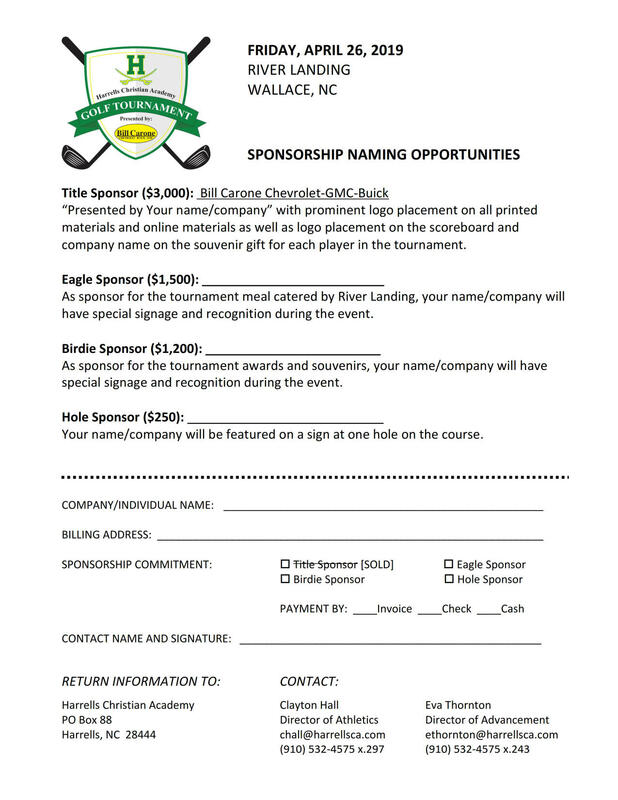 Each player of your four-man team will receive one mulligan, and lunch will be provided by River Landing. Tournament awards and prizes will immediately follow tournament play and lunch.